This building is from the side streets of town and not as tall or as brightly painted as a main street building, though the windows and door frames as well as the porch brackets have been painted a brighter colour. The external doors, even the roof hatch, are all hinged and can open and close at any time. Not only is the outside highly detailed, the inside walls are well detailed and white washed. 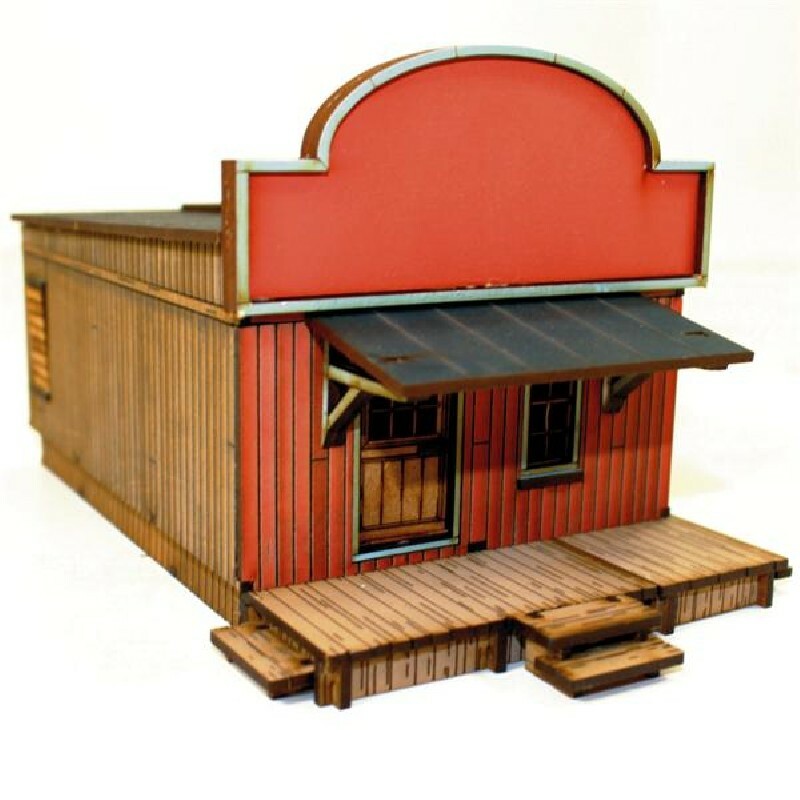 The roof and porch both come away to help with movement of figures during in-game action. This building sits securely on a raised sub-floor and also included with the kit are raised boardwalks that go beside the sub-floor giving many options of alignment.